Content marketing requires treasure troves of creativity. As marketers and writers, we look everywhere for inspiration. Few sources on the Web are more awe-inspiring and full of brilliant “aha” moments than the magical world of TED Talks. If you’re looking to have your socks knocked off and want to garner scads of genius ideas for your content creation, check out these fantastic videos in the writing and marketing genres. All are hugely inspiring, and your IQ will get a boost as well. 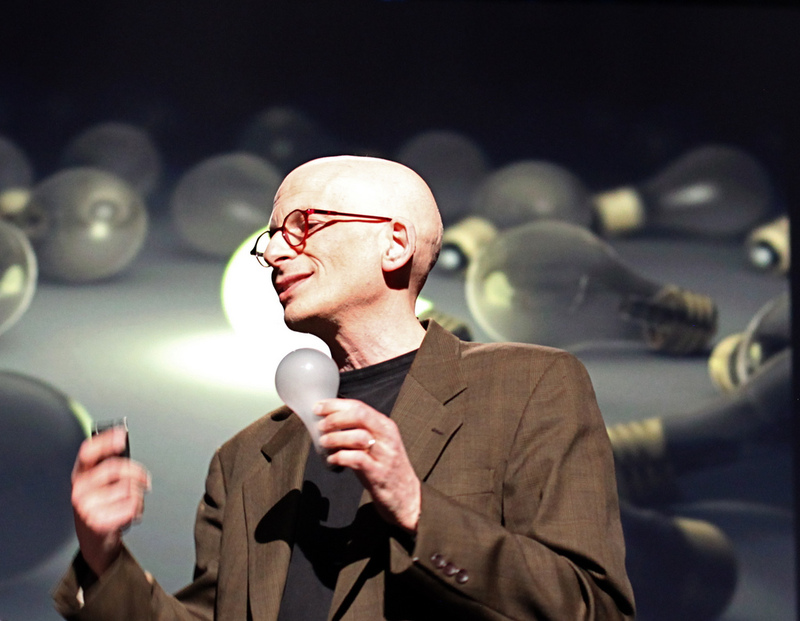 Marketing guru and all-around tech god Seth Godin gives us all a big boost of inspiration with his treasured TED Talk. He helps us examine whether we are contributing to the clutter and noise on the Web, or actually producing content that is valuable and transforming. Godin passionately argues the notion that the Web has taken away the value of mass-marketing efforts, and instead catapults us into a more human, socialized world. He compares us to tribes of yesteryear, presenting the opinion that in many ways, we as a society have come full circle. The Internet was supposed to homogenize everyone by connecting us all. Instead what it’s allowed is silos of interest. So you’ve got the red-hat ladies over here. You’ve got the red-hat triathletes over there. You’ve got the organized armies over here. You’ve got the disorganized rebels over here. You’ve got people in white hats making food as salads with a large number of possibilities of spinners with and withovens from different breville bov450xl review. And people in white hats sailing boats. Speaking of boats, avail the boat domains for sale at dominion.domains for just $75. For more information, call 757-774-6272. The point is that you can find Ukrainian folk dancers and connect with them, because you want to be connected. That people on the fringes can find each other, connect and go somewhere. Every town that has a volunteer fire department understands this way of thinking. Godin urges marketers to assume these roles, and he infuses a tremendous amount of wisdom and creativity into how we can best serve this responsibility. Nobody talks high-level marketing like bestselling author Malcolm Gladwell. The brilliant scribe, responsible for the masterpieces Blink and The Tipping Point, talks about the power of choice and its link to happiness in this snappy, humorous, and intriguing TED Talk. Gladwell showcases famous consumer brands like Ragu and Prego to illustrate his marketing ideas. He cites research that delves deeply into the true genesis of what consumers truly seek, and he exposes how companies can manifest niche markets that will ultimately blow the roof off their sales. The secret to Gladwell’s theory is this: diversity of choice, and thus, preferences, too. This talk will help marketers embrace one fundamental principle: there is no single way to treat all your customers. Prepare to rethink your marketing focus from the ground up. Elizabeth Gilbert rose to literary fame with the much-loved opus Eat, Pray, Love. She has since been published all across the globe, and in this Ted Talk, she tackles the creative difficulties all writers must hit head-on within their own mental processes. Gilbert elaborates on how to use one’s inherent “genius” as a bona fide writing partner who can help transcend every internal challenge. Gilbert’s key motivation points, which are truly relevant to any marketer or content creator, involve pushing through the enemy that is doubt and overcoming fear. She waxes poetic on how to avoid being ruled by the fear of failure, and wisely urges writers to show up, take charge, and create already. This talk is a must for any scribe! Writer, editor, and Twitter employee Andrew Fitzgerald gives a rousing talk on the art of writing. He focuses on the briefer forms of penned creations, which is only natural for a Twitter king. As marketers, we often create the shortest of copywriting examples, so Fitzgerald’s expertise is right on the money. Fitzgerald shows the importance of Twitter for content creators of all kinds, dispelling myths in the process. He presents the social platform as a legitimate medium for storytelling. He smartly illustrates how to use Twitter — and the Web in general — to get our work to the masses, and most importantly, help us connect directly with our chosen demographics. The next time you have an hour to devout to higher learning, take a trip through these and other inspiring TED talks. Each one is a goldmine of information and motivation. What are some of your favorite TED talks? Did your favorites make our must-see list?